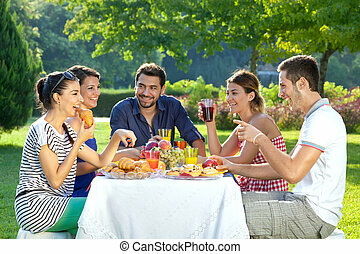 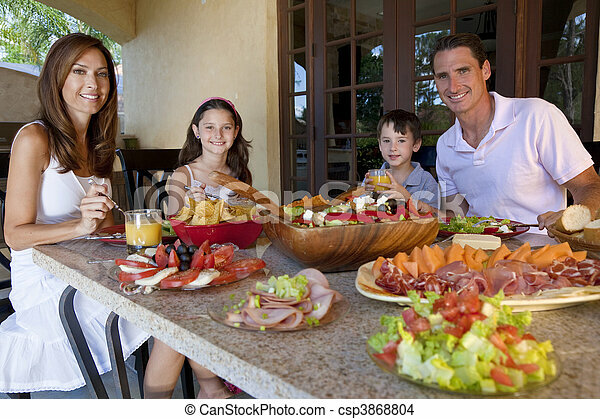 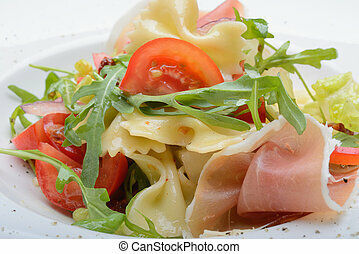 An attractive happy, smiling family of mother, father, son and daughter eating healthy food with ham, cheese and fresh salad at an outdoor table at home. 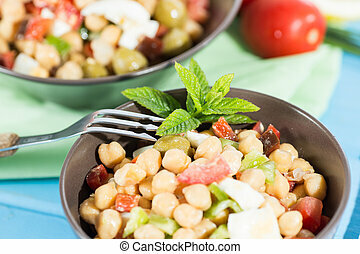 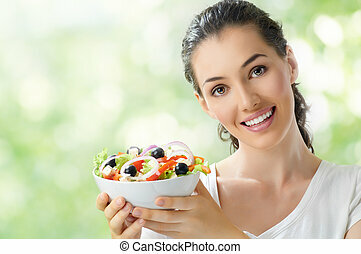 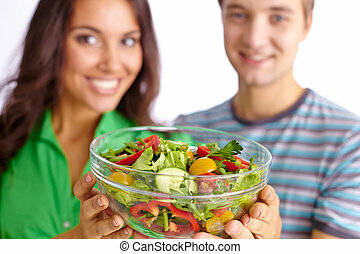 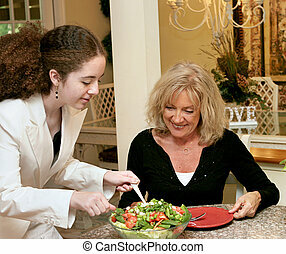 A teen girl and a mature woman eating a healthy salad for lunch. 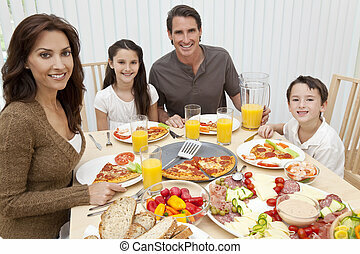 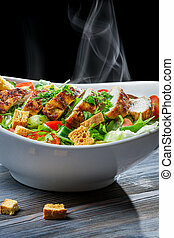 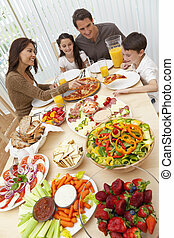 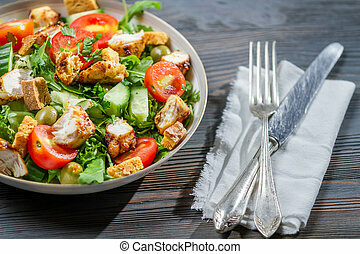 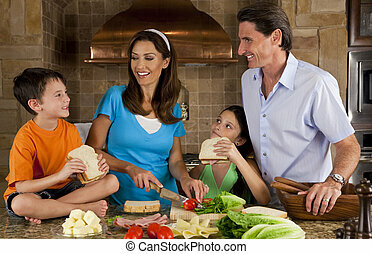 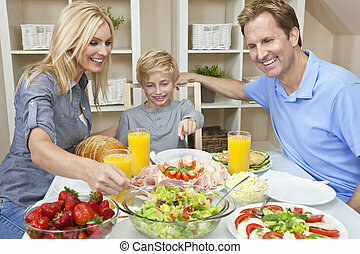 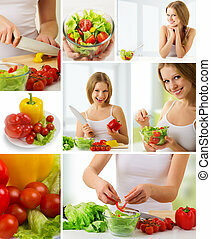 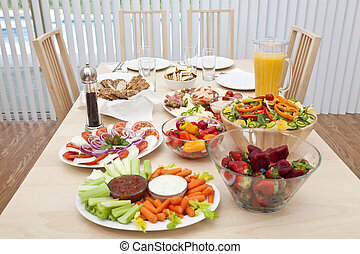 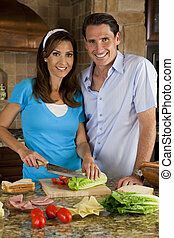 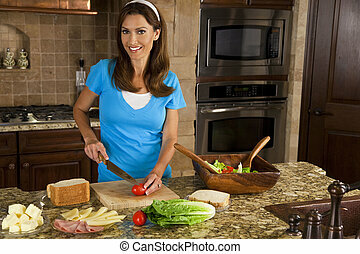 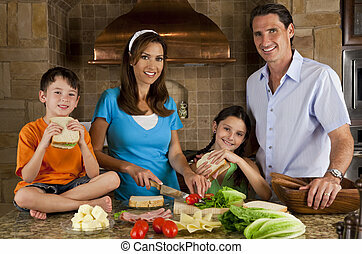 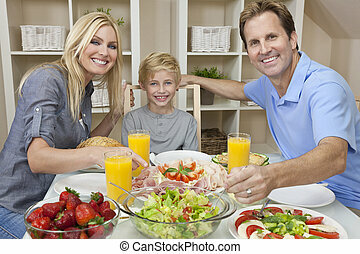 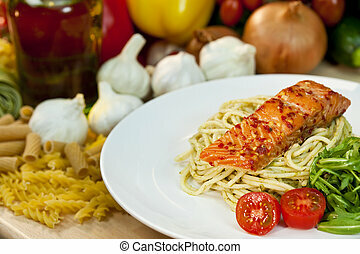 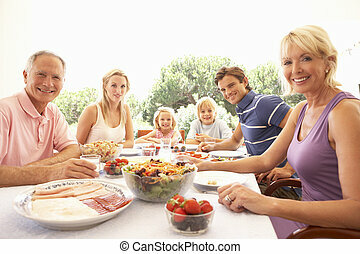 An attractive happy, smiling family of mother, father, son and daughter eating salad and pizza at a dining table. 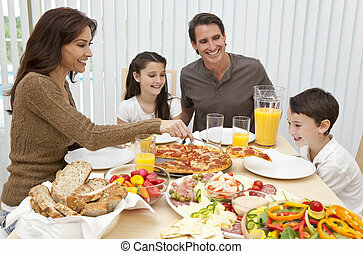 An attractive happy, smiling family of mother, father, son and daughter eating salad and pizza at a dining table, The mother is serving a slice of pizza to the excited boy. 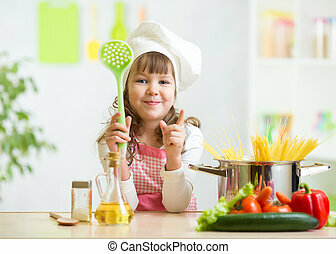 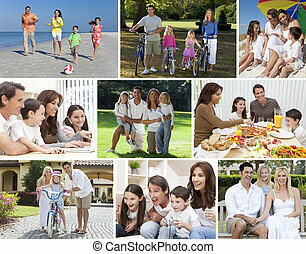 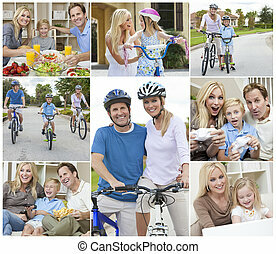 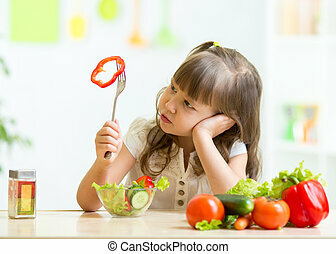 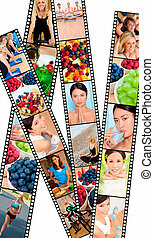 Montage of a happy active young family, parents man and woman, two children a boy and girl relaxing at home, eating healthy food, playing video games and cycling.